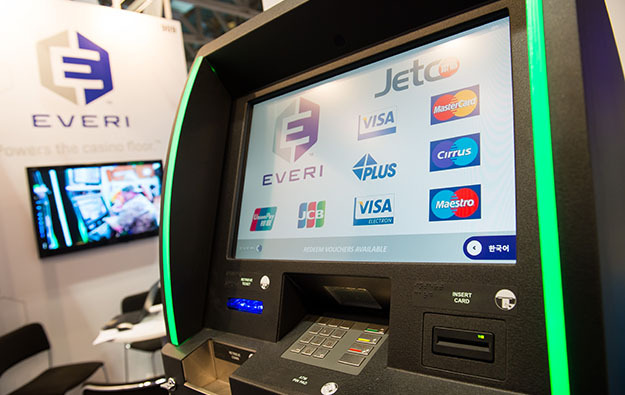 Everi Holdings Inc, a U.S.-based specialist in cash handling technology and electronic game content for the casino industry, saw its net loss for the three months to December 31 narrow significantly in year-on-year terms. Such loss was US$25.0 million, compared to US$217.3 million in the prior-year period, said the firm in a press release on Tuesday. Net loss for the period included a US$37.1-million loss on the extinguishment of debt in connection with the company’s refinancing, and US$23.8-million of income related to a provisional tax benefit of recent U.S. tax reform. Everi said on Tuesday that revenues for the fourth quarter of 2017 increased nearly 14.0 percent to US$247.9 million, from US$217.5 million in the fourth quarter of 2016. Games and payments segment revenues were US$57.0 million and US$190.9 million, respectively, for the fourth quarter last year. The company reported an operating income of US$18.1 million for the three months to December 31, compared to an operating loss of US$140.0 million in the prior-year period. In the games segment, the company generated revenues of US$17.5 million in the fourth quarter of 2017 from the sale of 926 gaming units. Revenues from gaming operations were US$39.4 million in the October to December period, compared to $37.0 million in the prior-year period. The installed base at December 31 increased 32 units year-on-year to 13,296 units and increased 81 units on a sequential basis, “primarily driven by growth in premium units”, said Everi. Adjusted earnings before interest, taxation, depreciation and amortisation (EBITDA) for the fourth quarter of 2017 rose by 4 percent year-on-year to US$51.3 million. Games and payments segment adjusted EBITDA for the three months ended December 31 was US$27.2 million and US$24.1 million, respectively. “Our strong fourth quarter operating results mark Everi’s sixth consecutive quarter of revenue and adjusted EBITDA growth which reflect, in part, consistent market share gains for the broad array of casino industry technology products we provide,” said Michael Rumbolz, Everi’s president and chief executive, in a statement accompanying the results. For full-year 2017, revenue increased 13.4 percent year-on-year to US$974.9 million and adjusted EBITDA rose 7.5 percent to US$212.8 million. The firm’s 2017 net loss narrowed by 79.2 percent year-on-year, to approximately US$51.9 million, compared to nearly US$249.5 million in the previous year. “This success is a direct result of our focus on innovation to further expand what is already the industry’s most diverse portfolio of gaming technology solutions,” said Mr Rumbolz. “The performance of our newest games and cabinets led to improvements in our daily win per unit, which increased year over year in the fourth quarter for the first time in eight quarters … We expect to further grow our installed base and return to achieving consistent year-over-year growth in daily win per unit going forward,” stated Everi’s CEO. The company said it expects to generate adjusted EBITDA of between US$225 million to US$230 million in 2018, which would represent an increase in the range of 6 percent to 8 percent.